Every year I look forward to the last weekend in February. It’s when the big white tents go up on South Beach and chefs and food lovers flock to the beach to eat and drink everything in sight. Last year, generic I left disappointed and a little hungry. This year was a completely different story. My favorite year by far. Some of the highlights were beer brewed by Florida International University Students (Rye and IPA), Potato and Shrimp Croquettes with pickled red onion from Gia at the Eden Roc Hotel, Ravioli from The Greenhouse Tavern in Cleveland, OH and Steak with horseradish cream from Luma on Park in Winter Park, FL. The Whole Foods tent also came strong this year. It’s no secret that Whole Foods is one of my favorite places on earth and their hospitality tent was giving away smoked salmon, caviar, plantains stuffed with chorizo and avocado cream and little toasts with vanilla honey goat cheese. The goat cheese was so simple, but such a tasty little bite that I wanted to attempt to recreate the recipe at home. 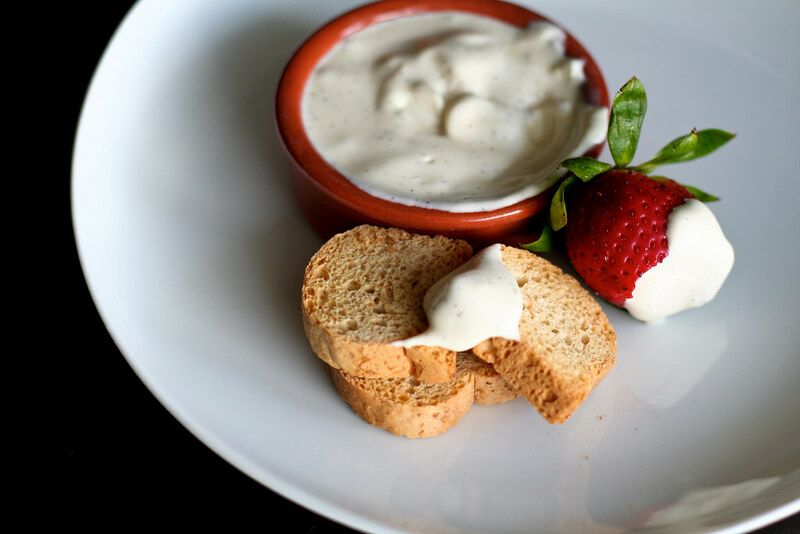 This spread is basically just goat cheese whipped with honey and vanilla bean. The honey is a nice contrast to the tangy goat cheese and the vanilla adds a little exotic flavor. 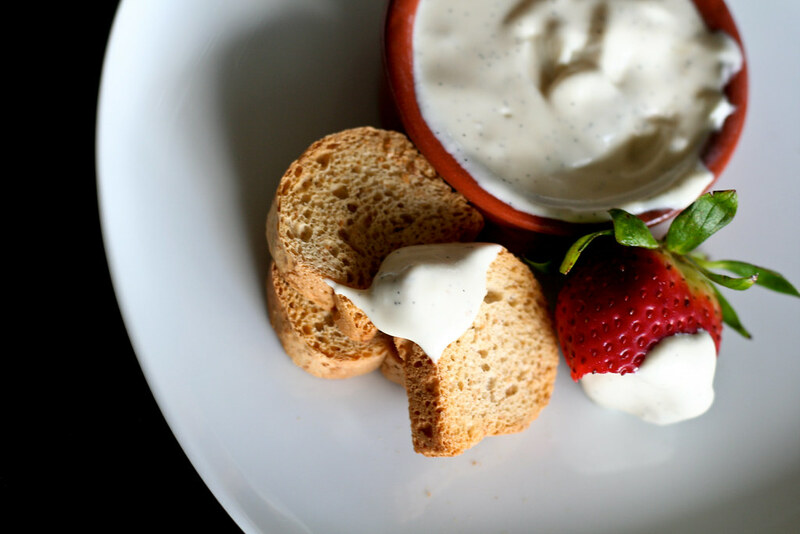 It’s a great little snack on crackers or with some strawberries and pretty amazing paired with a fresh mimosa. You can use a food processor or mixer to whip the goat cheese, but the process is the same. Scrape the seeds from the vanilla bean and place all of the ingredients in a bowl (or food processor). Mix until well combined and fluffy, about 3 minutes. Serve with crackers and/or fruit. This looks amazing. I kind of want to ice a cake with it. Would that be weird? It looks soooo yummy. Looks great. Do you scrape the vanilla bean into the mixture, or just drop it in whole before stirring? arugulove – Cake might be a little weird since it’s still pretty tangy and goat-cheesy. I bet it would be great in little tartlets though! Julie – Good catch! Yes, you scrape the vanilla bean. I updated the recipe. This is what happens when I write a post before my morning coffee. For me, few slices of toasts or crackers are free from a hearty smear of goat cheese. Adding a touch of honey and vanilla bean is the twist I’ve needed. Oh, yes. I think I absolutely need this today. Sounds perfect! I really love goat cheese it is really delicous. Most of the time I eat it as a dessert or use it to make a salsa.